Cpl. Hanson C. Brock, son of Mr. and Mrs. H. H. Brock, attended school in Grandfeild. 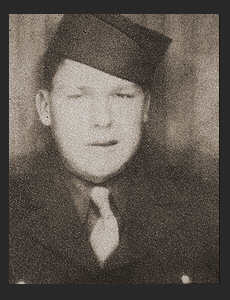 Entered the Army in Dec. 1942, trained in Camp Roberts, Cal., Ft. Leonard Wood, Mo. ; went Overseas in April 1944; served in England, France, Germany, Belgium, Holland, Luxembourg; was discharged in Dec. 1945. Awarded Good Conduct Medal, ETO Ribbon with five Battle Stars, Am. Defense Ribbon, Occupational Ribbon, Pres. Unit Citation.